The National Association of Home Builders (NAHB) has issued a “toolkit” to its members nationwide explaining last year’s landmark U.S. Supreme Court decision in Koontz vs. St. Johns River Water Management District. 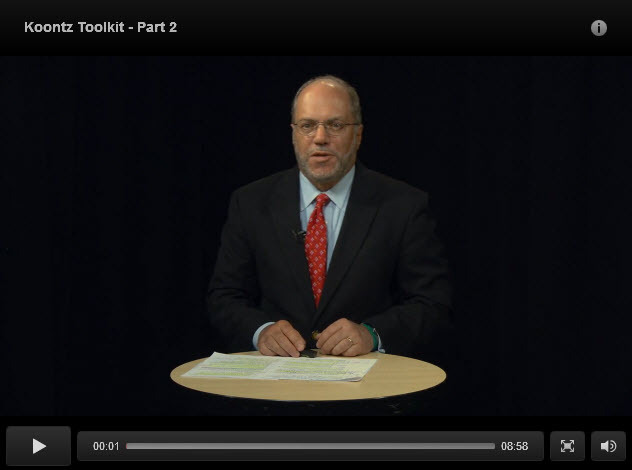 In addition to online written materials, the toolkit includes a video featuring Tim Hollister. Hollister explains the Koontz case itself and its implications for land use law for both private property owners and public agencies.